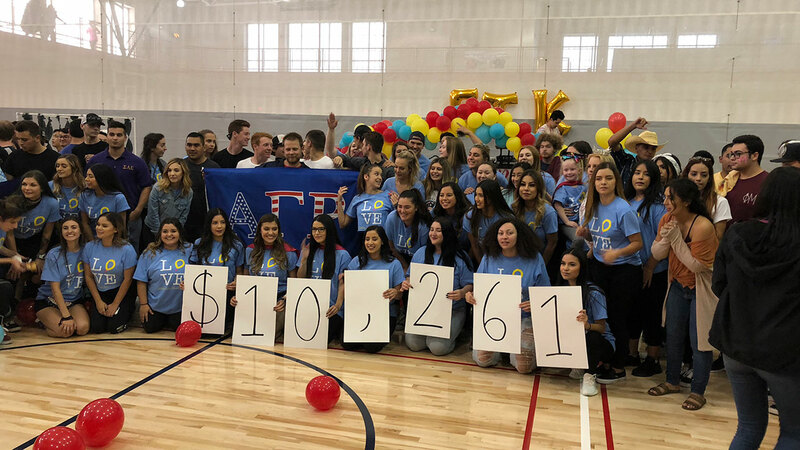 FRESNO, Calif. (KFSN) -- Phi Mu hosted the first ever Dance Marathon at Fresno State. The sorority's goal was to raise $10,000 but ended up raising, $10,261 from fundraising. All the money raised will go directly to the Children's Miracle Network Hospital, Valley Children's. "We loved doing this event because it got our chapter involved within the community, the hospital, as well as the children of the hospital. We plan on keeping Dance Marathon going and increasing our goal to $15,000 next year!" said sorority member Jade Riggins.